Your six-year-old loves the Tooth Fairy and has decided to take matters into her own hands. You bite down on your pencil and break your tooth – the night before a big presentation at work. You had to get the chewy candy at that midnight movie festival, and now your filling is gone. Emergency dental care at Foothill dental Livermore is a service we hope you’ll never need – but if you do, it can be a lifesaver. Any kind of tooth damage — broken dentures, lost crowns or fillings, or a broken tooth — should be taken care of immediately, but doesn’t always happen at the most convenient time. Please call us if you have questions or concerns about our Emergency Dentistry service! Accidents are always bound to happen, and it is especially frustrating when they involve your teeth. Dental emergencies can be quite frightening and are often painful. Quick treatment is almost always needed in order to alleviate pain and ensure the teeth have a chance to survive. In the case of a dental emergency, one of the first things you should contact your dentist. In most cases, dentists will set aside time in case any emergency procedures call in. Ask for your dentist’s after-hours contact information so you have it readily available at all times. With some dental emergencies, you need to see a dentist within 30 minutes or less in you don’t want to lose a tooth. Knocked-out tooth: Considered a dental emergency, requires urgent attention. If you are able to take quick and fast-acting steps immediately after the tooth has been knocked out, there is a very good chance that the tooth can be reinserted and preserved by a dentist. Chipped tooth: If you chipped your tooth and it doesn’t hurt, then there is usually no need to call for a dental emergency and you can wait a few days to see a dentist. However, you should be careful while eating so you don’t chip the tooth more. 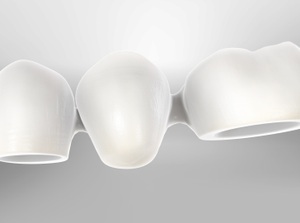 Your dentist may be able to simply smooth out the chip or add composite filling material to repair it. Cracked or fractured tooth: Considered a serious issue that you should call in for a dental emergency. 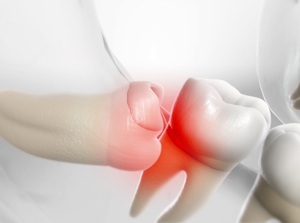 Fractured or cracked teeth could signify that there is damage that has occurred inside and outside of the tooth. Some severe cracks are so bad that the tooth is unable to be saved. Any injury inside the mouth: Puncture wounds, deep cuts, and tears to the lips, cheeks, mouth, and tongue, are tissue injuries and are considered a dental emergency. It is important to clean the wounded area immediately with warm water. If you are bleeding from your tongue, pull your tongue forward and apply pressure to the wounded area using gauze. You should get to an oral surgeon or hospital emergency room as quick as you can. Severe infection or blister in the mouth: Can be life-threatening and needs to be dealt with immediately. A dentist may be able to get in and do the part of a root canal or will refer you to an endodontist, who specializes in root canals. 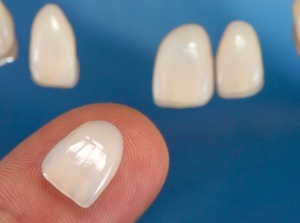 They will be able to open and drain the tooth or allow the blister to drain. If you are unable to get ahold of your dentist, your best solution is to get hospital emergency room care. Lost filling or crown: It is not very common for a crown or filling comes loose while eating, but it can happen. Once it falls out, the affected area can be sensitive to extreme temperature changes and pressure. Crowns can also become loose if the tooth underneath is rotting. Decay causes the tooth to change shapes and this means that the crown will no longer fit. While it might not be an emergency (unless you have severe pain), you should make a dental appointment as soon as possible. While you wait for your appointment, you should keep the crown in a cool, safe place in case your dentist can reinsert it. Getting your crown fixed is important because if the crown is out for a long period of time, the teeth may shift or cause further damage. Were you struck in the face or mouth? Notice any swelling in the mouth or facial area? Notice any swelling or bumps on your gums? Get New Patient Special and Free Consultation with our Livermore Dentists Today! Basic knowledge on what to do when it comes to dental emergencies is a great thing to have, but you should definitely not self-diagnose any of these problems or try to treat the pain with natural remedies. Get an appointment with a professional at Foothill Dental Care in Livermore. Give us a call at (925) 961-5484 for any questions or concerns regarding our Emergency Dentistry services! In an emergency, our dentists will be able to get you back to normal in no time. If you have been dealing with severe throbbing from one of your teeth, try brushing and flossing your teeth to remove any food fragments in your teeth. You can take aspirin for the pain, but you should not put it directly against the gums near the tooth. If the pain doesn’t subside after more than a few days, you may need an extraction and should call a dentist immediately. What if one of my teeth gets knocked out? If you have a tooth knocked out, contact an emergency dentist right away. The best thing to do to preserve your tooth/teeth is to avoid touching the tooth. You want to make sure that there isn’t any further damage to the root. Hold the crown of the tooth gently while you rinse it in water and put the tooth in a cup of water to keep it wet. Contact a pediatric or emergency dentist as soon as possible, since they will have experience in dealing with children and their teeth. Replanting baby teeth could potentially cause damage as the tooth continues to develop. Please call us if you have questions or concerns about dental emergency cases!